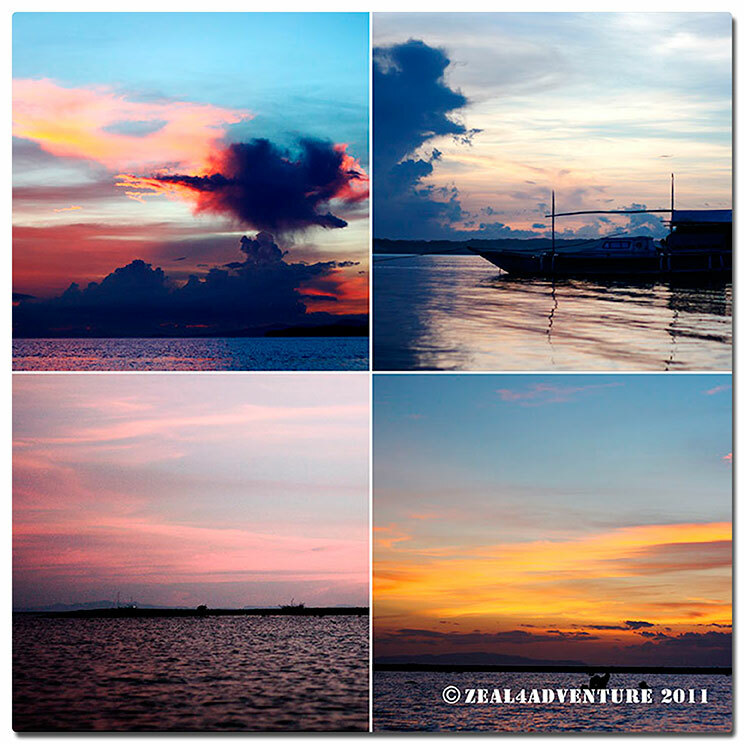 After a morning of whale shark adventure, what next? 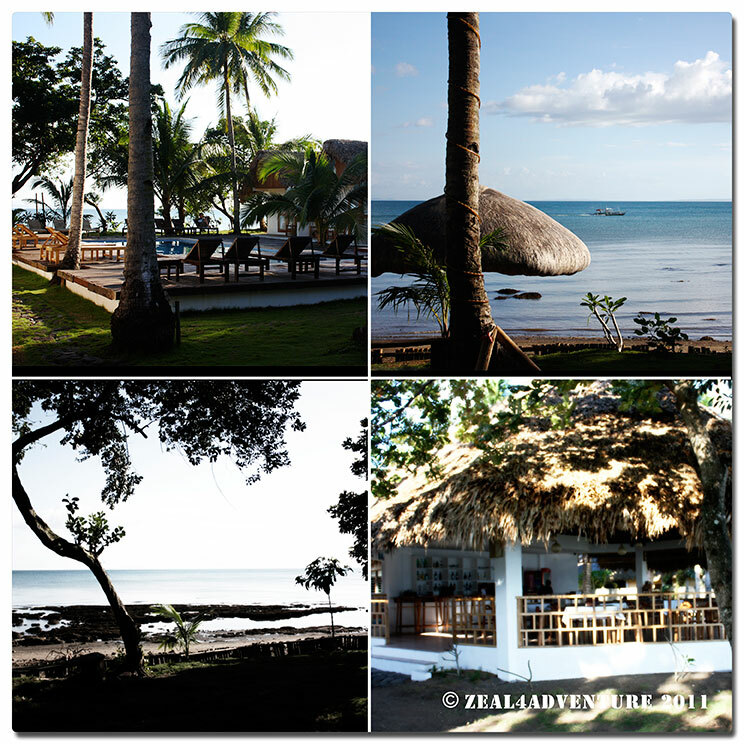 Just a short banca ride across the San Bernardino Straits, many dive shops offer trips to Manta Bowl in Ticao Island. We however didn’t have time so I made a mental note to plan for some serious diving there next season. 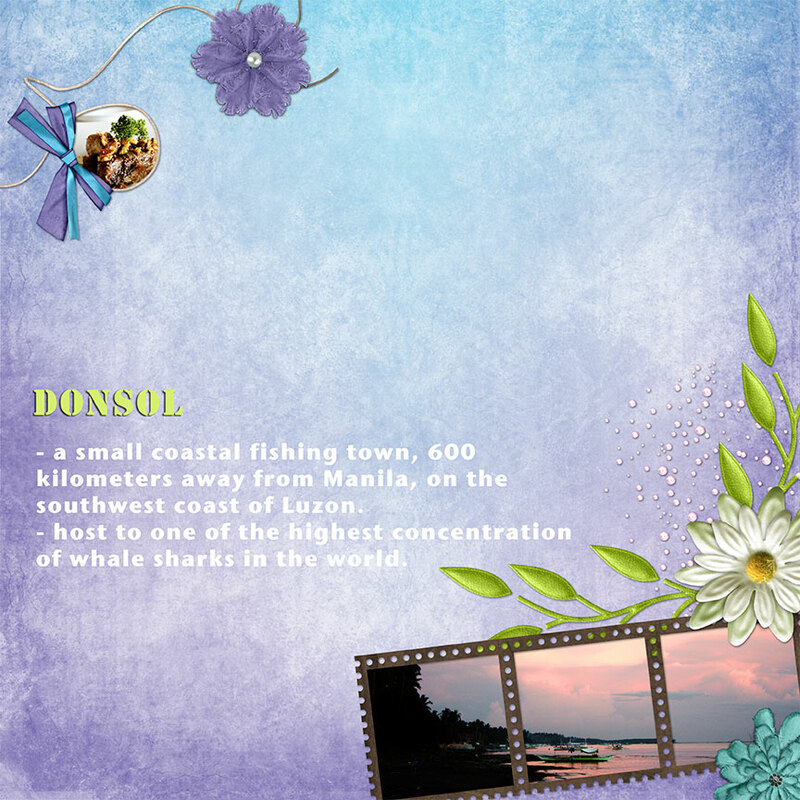 Instead, we headed out to the Donsol River in the hopes to see fireflies illuminating in the dark. I was envisioning dramatic strips of trees lit with fireflies like Christmas trees radiating the evening. Alas, save for the beautiful sunset on our ride to the site, the fireflies were a let down. We saw a total of 2, perhaps 3 trees with some fireflies glowing but not enough to even show on cam. It didn’t help, per our guide, that it was a full moon. 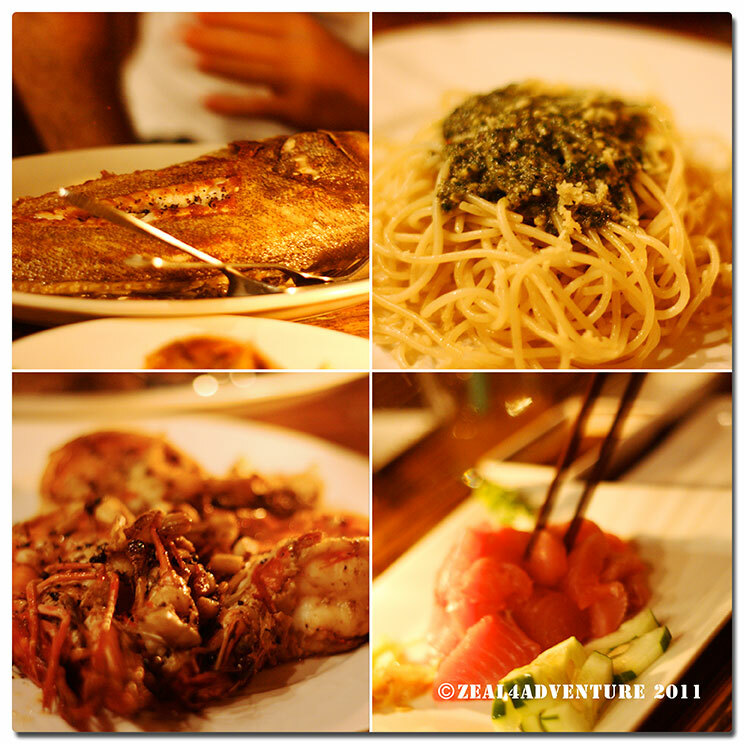 Clockwise: Home-made Pesto; tuna sashimi; succulent grilled prawns; A very fresh fried lapu-lapu. Baracuda (with 1 “r”) serves excellent food that’s worth a mention. After our sorry firefly tour, invited and recommended by the Israeli couple we shared the banca with, the four of us set out for Barracuda bar for some really good eats. 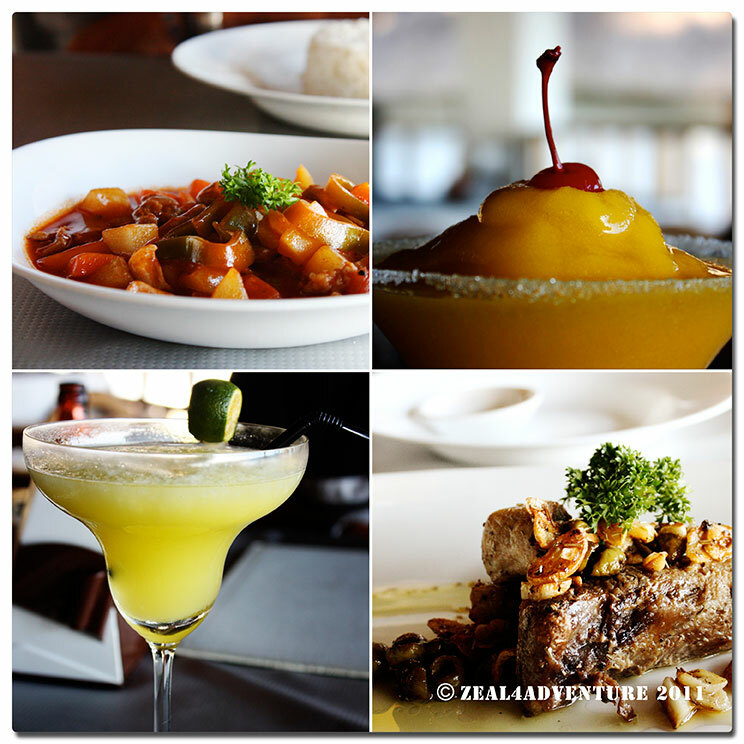 The resto-bar has a very friendly atmosphere headed by the owner herself, Juliet de la Cruz. She goes around tables talking and offering shots of rum to diners. 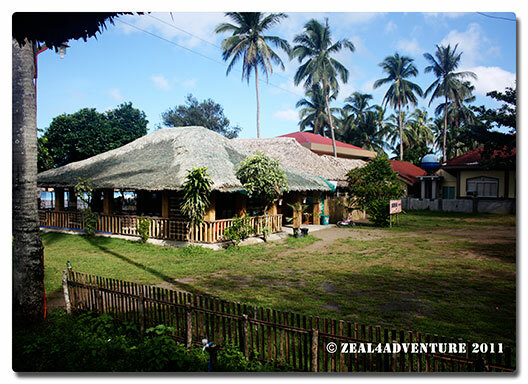 We wanted to stay at Elysia Beach Resort but they didn’t have a room so we settled for the comfortable albeit spartan Dancalan Resort. 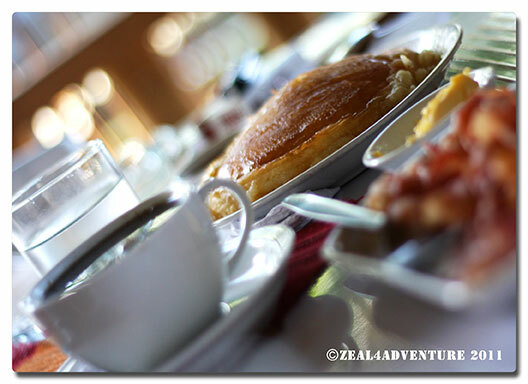 With truly enjoyable breakfast of pancakes, bacon and coffee. As we were walking around town, we passed Elysia resort and decided to check it out. A simple but tastefully designed resort with rooms built around a pool. The food may not be as good as that of the Barracuda or Dancalan (breakfast was good), it was pretty decent. Since the main activity here takes just half a day, splurging a bit to lounge around the beautiful and relaxing grounds of Elysia makes pretty good sense to me. I’ve made another mental note to book earlier next time I come back, most likely for those Mantas. What a beautiful place. Those skies are stunning! I love your photos, especially the food photos. Love your travel photos Jenn! Barracuda reminds me of a huge catch, and tasty too!. You are a great ambassador of our country!